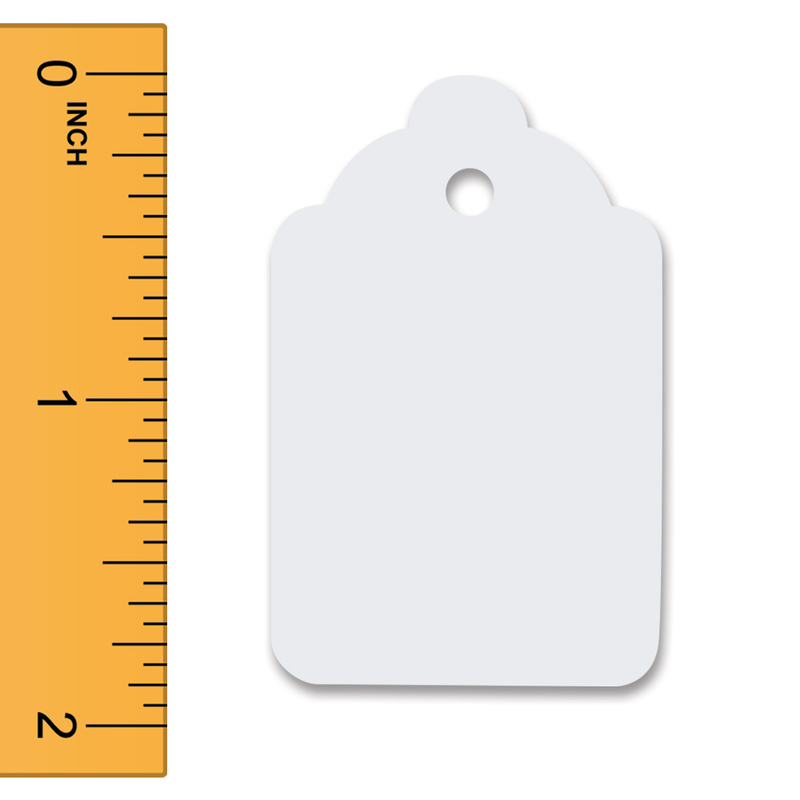 These unstrung white, scalloped edge tags are ideal for use with a tagging gun. The tags are blank and made of card stock with a smooth finish. Write your information on the tags or use with barcode labels. Great with our regular and fine fabric fasteners.